Portland, OR. - Express Healthcare Professionals, the top per diem agency that provides nurse staffing in Portland, OR that helps clinicians find quality CNA and RN jobs, is celebrating summer with an exciting contest. The Dog Days of Summer contest aims to not only benefit Express employees, but also local K9 friends. 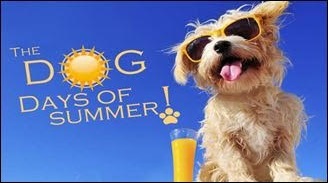 The Dog Days of Summer contest is open to all Express employees. For all employees who work an average of 30 hours per week in July and August, Express Healthcare will sponsor a pet adoption at the Oregon Humane Society in their name. Additionally, the employee who works the most hours in July and August will receive a $200 bonus. The nursing agency in Portland, OR is very proud of the Dog Days of Summer contest. If Express Healthcare can help even one dog find a loving home, than the contest will be a success. Express Healthcare Professionals has been aiding clinicians in their search for fulfilling employment in the positions of CNA, RN, and other roles in the medical field since 2013. Job seekers who are interested in a medical profession are strongly encouraged to stop by the office located at 7401 SW Washo Ct #101, Tualatin, OR 97062, call the office at (503) 218-4343, or visit online at http://www.expresshealthcarenw.com/.